CANBERRA, Australia — Some Australians foresee trouble in their country's traditionally strong alliance with the United States because of what they see as "unpresidential" behavior from President Donald Trump, while others think outspoken businessman-turned-Australian-leader Malcolm Turnbull is a good match for him. Australians have long had an affinity with the United States and absorb American popular culture like blotting paper. The U.S. is popularly seen as rescuing Australia from Japanese invasion during World War II, after old ally Britain abandoned its Southeast Asian stronghold of Singapore. Ever since, the United States has found a staunch ally in Australia in every major conflict, including an unpopular war in Vietnam and the politically divisive invasion of Iraq in 2003. Australia increasingly mattered to Washington under President Barack Obama's tenure, seen in an increased presence of U.S. military troops and Marines on Australian soil as part of a U.S. policy pivot to Asia. Some Australians doubt the U.S. bedrock of regional security remains as solid under Trump, who questions global alliances. A terse conversation between President Trump and Prime Minister Turnbull suggested the relationship had changed; the American berated a deal his predecessor had made to resettle mainly Muslim refugees who had been rejected by Australia. 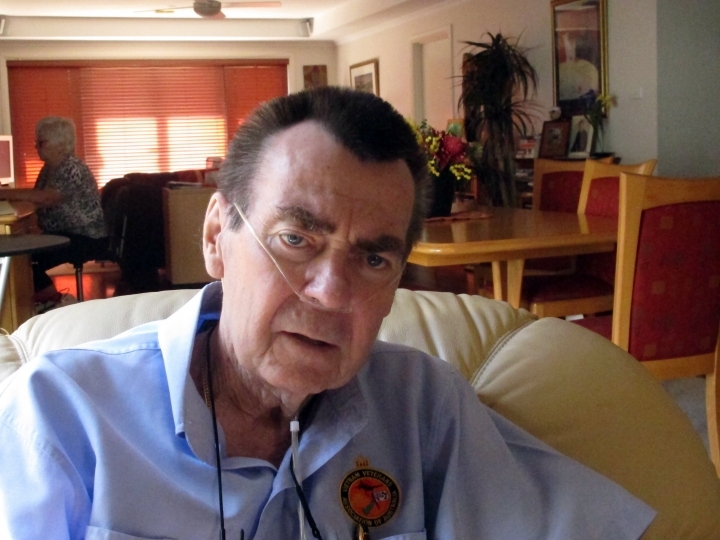 PETE RYAN, 70, is a terminally ill Vietnam War veteran who lives in the Australian capital, Canberra. His son-in-law volunteered to work on Hillary Clinton's presidential campaign and brought him back a red Trump cap, although as a veterans' advocate Ryan has long kept his political views to himself. Ryan has always had faith in the Australia-U.S. defense treaty that has formed the backbone of Australian security policy since it was signed in 1951. But Ryan now questions the U.S. commitment to that alliance and the Asia-Pacific region threatened by the territorial claims of China. "The current era is changed altogether with the election of President Trump and in the future under President Trump, we don't know — nobody knows — it's a completely new ball game and we're now in a position from Australia's point of view of: wait and see," Ryan said. 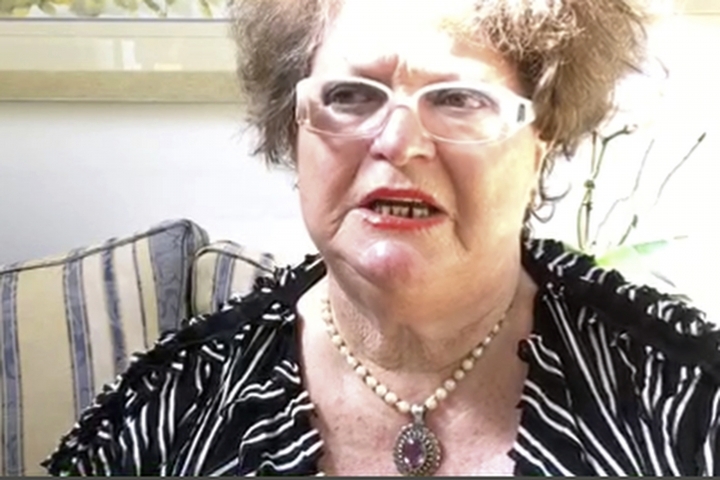 BRONWYN HALBISCH, 71, has been a member of the Australian American Association for more than 25 years. She came to love Americans after forming a relationship with a New Yorker while she was living in Sydney. Now a resident of Canberra, Halbisch says ties between the countries were too strong to be derailed by individual personalities such as Trump's. The 75th anniversary in May of the Battle of the Coral Sea — a World War II battle between the Japanese navy on one side and naval and air forces from Australia and the U.S. — was a reminder of that, she said. When Trump and Turnbull had a heated telephone discussion over refugees in their first conversation as national leaders, Halbisch saw it as the start of a good relationship. "In relation to the recent telephone conversation between Turnbull and Trump, Trump is known for his volatility and so it really wasn't surprising that perhaps that's the way the conversation went. But Turnbull, I'm really impressed with how he handled it, because he has a bit of history of volatility as well. But the difference between the two is Turnbull is eloquent, and let me tell you, if Trump had been on the end of a Turnbull spray he would have known about it and been probably shocked. And so I feel that Turnbull stood up to him and will stand his ground, and so I look forward to the two of them both being high-powered businessmen before they came into politics — I think it will be a good relationship," Halbisch said. 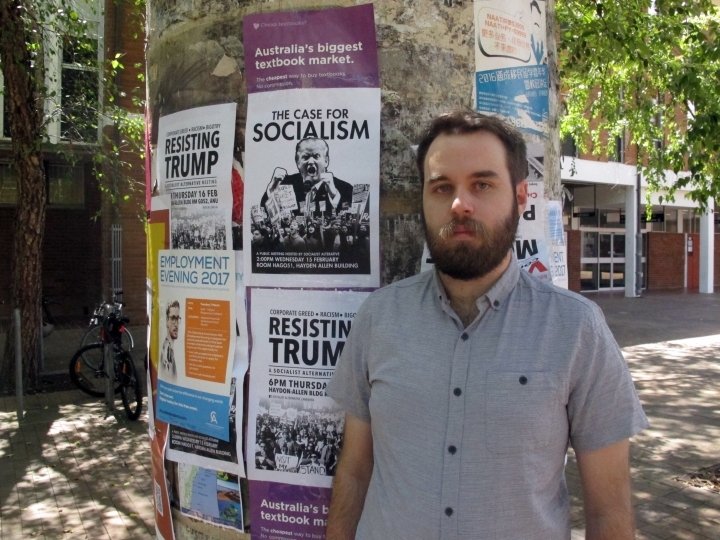 DOMINIC NELSON is a 25-year-old Australian National University science student who thinks Trump's behavior toward Turnbull during their phone conversation was unpresidential. Nelson expects the bilateral relationship will go downhill during Trump's presidency. "I think the alliance was pretty strong under Obama. There were tensions between President Trump and Prime Minister Turnbull, so I think it is going to weaken a little in the coming years. From what I have heard and read about, it does seem like it wasn't — it seemed unpresidential in a way, so it was very aggressive, even toward close allies like Australia and U.S. have been over the past 70 years, even more. It didn't seem like a good start," Nelson said. 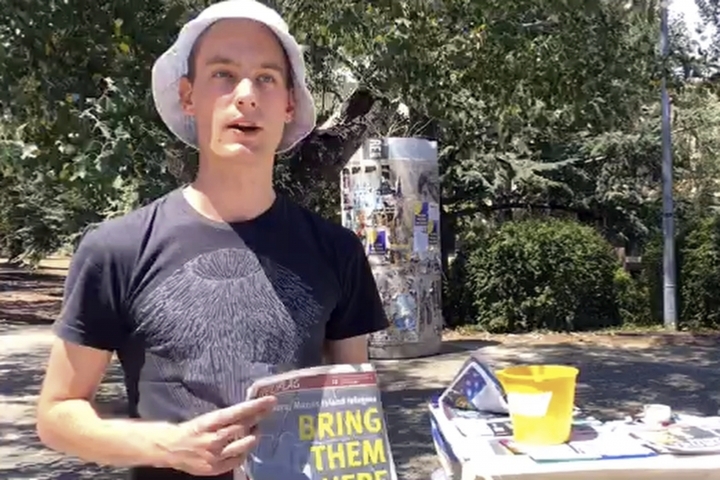 MARKO TUCOVIC is a 23-year-old Australian National University sociology student and member of the university's socialist club. He was not a fan of the United States under the Obama administration and doesn't see much difference under Trump. At the core of Trump's disagreement with Turnbull is both leaders' polarizing positions on refugees. "To be honest, Trump represents a new step in American policy but it's only a more kind of uncovered step as to what it was before. Like the way he talks about torture. Well, under Obama it was enhanced interrogation techniques. Trump says: 'No, we torture. That's fine, and we want to do more torture,'" Tucovic said. "It think it's great that Turnbull got embarrassed by his phone call with Trump, because Turnbull's basically a racist just like Trump. The way that Australia (treats) refugees is cruel and unkind and unfair," he added. LACHIE McOMISH owns the Wig and Pen microbrewery in Canberra and has a daughter living in New York. 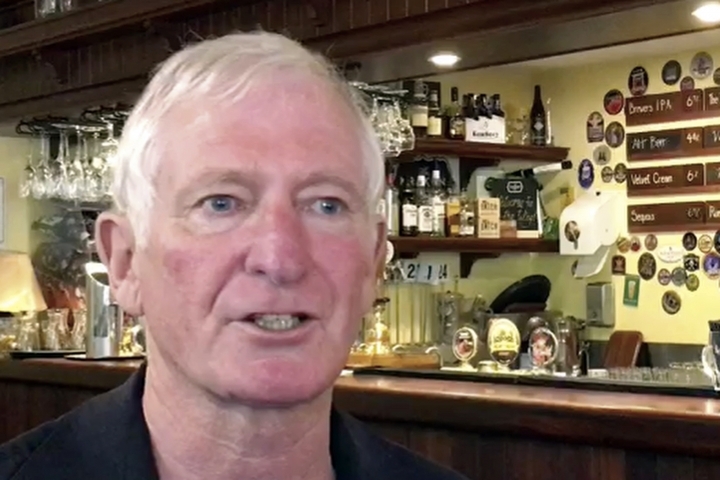 The 65-year-old is frustrated that media reaction to Trump's election is unnecessarily frightening consumers and harming economic conditions even in Australia. "The question which has been puzzling many of us is, will the election of the Trump government in the United States of America make any significant difference to Australian-American relations and indeed to economic conditions here in Australia? Does America need Donald Trump to make it great again? Well, I think Donald Trump is not needed to make America great again. America is great and will remain great as long as it remains true to its founding principles: the pursuit of life, liberty and happiness," McOmish said.